The second film’s mix includes more rock music, including from the 1970s, and several of the songs aren’t really well known. There’s a reason for that. In an interview with Rolling Stone, Gunn said many of the songs are personal favorites from his childhood, including “Lake Shore Drive” by Aliotta Haynes Jeremiah (a regional hit from the Chicagoland area), while others were obscure ones suggested by fans (like Silver’s only hit song). 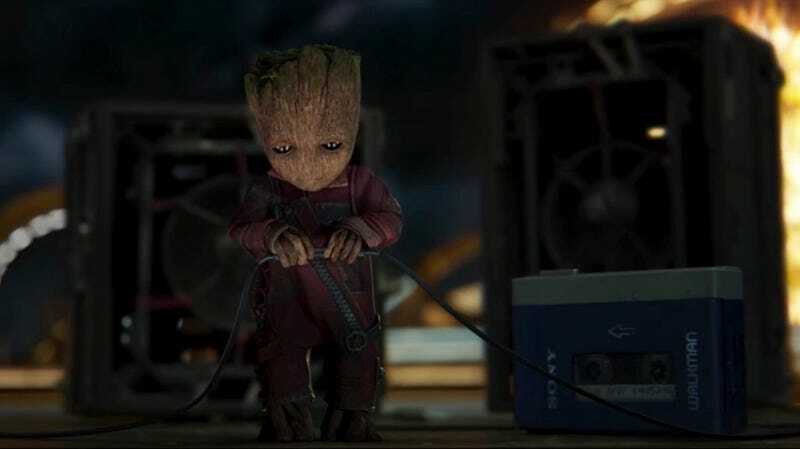 Gunn said most of the songs were selected to serve specific scenes or characters— for example, he added “My Sweet Lord” by George Harrison to relate to Star-Lord’s father, Ego. We already knew about a few of the songs from their use in previous trailers, like “Fox on the Run” by Sweet (which isn’t actually in the movie), but some of the others are pleasant surprises. For example, I’m always happy to see some Electric Light Orchestra representation, even if “Mr. Blue Sky” isn’t my favorite song of theirs (though it’s one of Gunn’s). Surprisingly, David Bowie’s “Suffragette City” isn’t on the playlist, even though it was featured in one of the trailers. It’s especially notable since Bowie was on the first film’s soundtrack. In fact, none of the artists from the first soundtrack are on the second one. That’s likely on purpose. However, the biggest surprise has to be the final song on the mix: “Guardians Inferno” by The Sneepers... featuring David Hasselhoff. Gunn said this is an original song for the film, co-written by Gunn and score composer Tyler Bates. He called it the Guardians’ version of Meco’s disco Star Wars theme, and said they recruited Hasselhoff for it because he’s one of Peter Quill’s childhood icons. The Sneepers are a race of aliens in the Marvel universe, but it’s unclear whether they’ll actually be in the movie or if it’s just an Easter egg mention for Marvel fans. The soundtrack comes out on Friday. Here’s the list typed out.